Apparently there is a bit of a drunk driving pattern emerging among Austin’s brave men that battle blazes. Since January, six firefighters have been suspended for being arrested for suspicion of DWI. 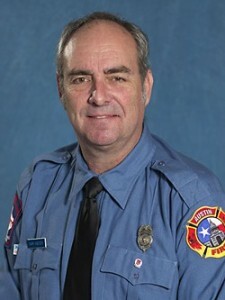 The latest suspect was one of the brass, on July 11, Madison, a 29-year AFD veteran who receives the highest salary of any AFD firefighter, was “suspended indefinitely” after crashing his car in North Austin the evening of May 10. Police reported they smelled alcohol on Madison’s breath and that he’d stumbled, mumbled, and nearly fell down. He told authorities he’d consumed “a few” drinks that evening. In a May 30 interview with members of the Professional Standards Office, Madison admitted to actually having more than a few, more like between 10 and 12 drinks. Austin Fire Department Chief Rhoda Kerr’s action against Madison marked a turning point, punishments finally have been getting more steep after being slaps on the wrists to date. A pattern may be emerging, as Madison is the sixth firefighter suspended for a DWI since January of 2013. He is, however, the first to incur a be punished with more than a 90 day suspension. Even the 90 day suspension is rare as punishment, and only was doled out to firefighter James Doyle, who was facing his third DWI charge since 2006. Doyle agreed to alcohol counseling, randomized testing, and a one-year probation period, as well as assuming the understanding that another violation would result in an indefinite suspension. Otherwise, Kerr has mostly issued a series of suspensions stretching between 10 and 15 days. This despite firefighters reportedly admitting driving after consuming upwards of 10 alcoholic beverages in a sitting. Madison’s suspension is the second DWI-related sanction handed down to members of the AFD since Kerr’s November 2013 memorandum informing her staff that “prior efforts, including temporary suspensions of 10 days, were not having their intended and desired effects, to wit, to curtail alcohol abuse by Department Personnel, particularly driving while intoxicated.” In the memo – apparently distributed by Kerr because 38% of the AFD suspensions mandated between Feb. 1, 2009, and Oct. 4, 2013, had been DWI-related – Kerr went on to explain that “future first-time ‘driving while intoxicated’ violations would result in a disciplinary action, up to and including indefinite suspension.” Madison reportedly acknowledged receipt of this memorandum – but still decided to drive drunk. Kerr’s explanation does not mention of the 60-day suspension levied on firefighter Randlall Black. Black was stopped for speeding on I-35 and subsequently arrested for DWI – though in her initial memorandum sent out to the department, Kerr wrote that “every alcohol related discipline case involving sworn and non-sworn will be judged on its own merits. How Chief Kerr differentiates between what requires 60 day suspension and what an indefinite suspension is unclear, though a comparison of the two memos suggests that Madison – who could barely stand, and had crashed his car so hard into a guard rail that he broke his front right axle – was significantly more blitzed than Black, whose rap sheet in this instance entails little more than “a strong odor of an alcoholic beverage” on his breath. Kerr’s appears to be addressing a pretty widespread problem, for AFD. It also may indicate a crackdown by Aus­tin Police Department Chief Acevedo. In early April, Acevedo distributed a dramatic video to departmental personnel (copying local media) announcing a new, zero-tolerance policy against drunk-driving police officers. First-time offenders won’t just receive temporary suspensions anymore, Acevedo asserted. Each suspected offender stands to be fired, whether or not they’re found guilty in a court of law. With news stories of the police beating, choking and shooting people – maybe Austin FD poses a different hazard to the public, on our roads. They are all of course innocent until proven guilty, but the pattern is real. 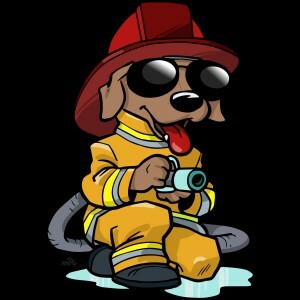 It seems like many firefighters in Austin are partying quite a bit. Arrested For a DWI in Texas? If you are facing a DWI charge contact attorney Tristan LeGrande by calling 281-684-3500.